Many call centres need to improve their sales figures. Nick Drake-Knight looks at the best techniques to increase sales confidence. 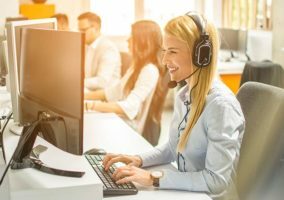 Where call centre operations require active selling, a non-scripted flexibility and freedom to go off-piste is often essential. A consultative sales approach creates a more bespoke conversation, tailored to the needs of each specific customer, whilst following a broad sales process framework. This method of sales management is in stark contrast to some highly structured step-by-step call centre operational models. Whenever I’ve worked with call centre sales ‘consultants’ (a nominalisation from the verb ‘to consult’), one of their primary drivers to success has been ‘confidence’. Almost without exception, successful sales consultants report how personal confidence plays a key role in their ability to perform. But how can a consulting sales professional achieve confidence in their call centre role? Confidence is a function of knowledge and experience. The diagram below illustrates exactly how knowledge and experience contribute to personal confidence. And don’t just take my word for it. Every sales professional I’ve ever met agrees with this model, because it is a true reflection of how confidence is achieved. This is excellent news, because with a degree of personal application most of the confidence drivers can be learned, or gained through time. From my experience developing sales teams I have observed how, when call centre consulting sales professionals are genuinely confident and competent, they exhibit appropriate verbal communication, tonality, breathing patterns and non-verbal behaviour; it comes naturally. Confidence is an empowering resource! 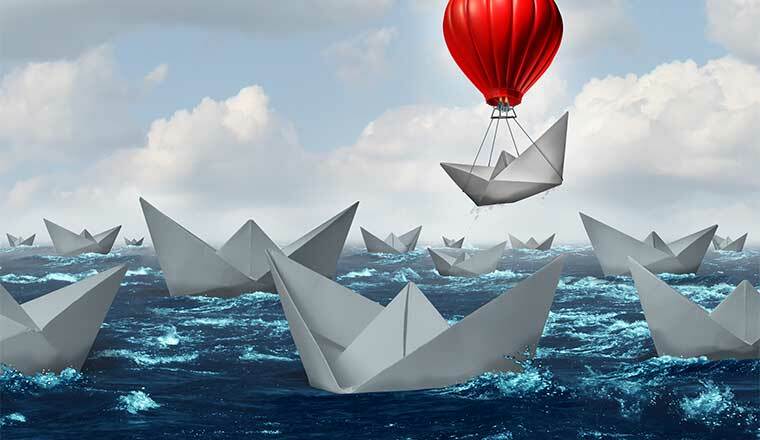 What shape is your sales confidence? Look at this spidergram. Assume the centre point is zero and the edges of the spidergram are 10. Now think about the sales confidence factors described here and how you would measure yourself on the scale 0-10 on each of these factors. 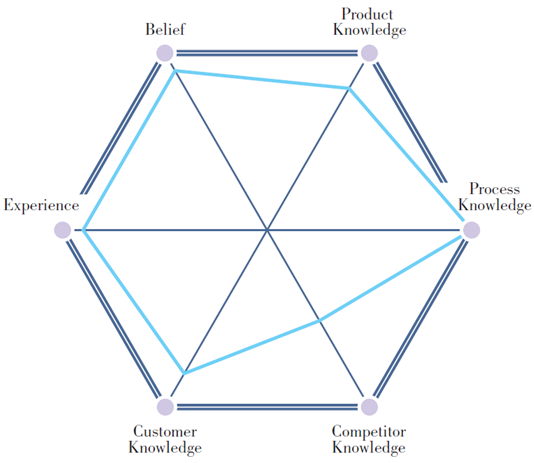 Are you a 10 for product knowledge, or maybe a 7? Are you a 9 on sales process knowledge, or is it really a 6? It’s time to be honest! This sales confidence spidergram is typical of a call centre sales manager. Here we have high product knowledge, although maybe not as high as the front-line call centre sales staff. 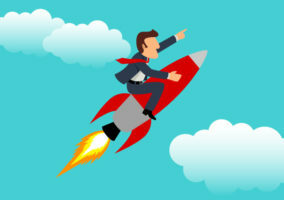 This sales manager scores high on sales process; he or she is likely to be determined to encourage sales team members to work to the company’s sales or service model. A sales manager is often passionate about sales process – and making sure sales team members follow their example. 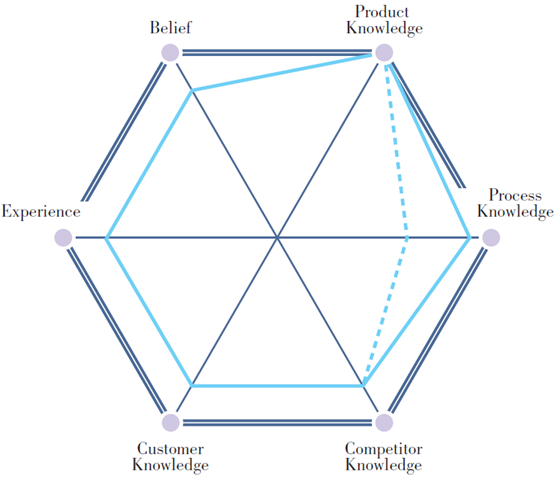 Competitor knowledge is reasonable, and customer knowledge is ok, if not detailed. Experience is usually quite high and belief is often deeply embedded. This is typical of a new starter at the call centre, no doubt full of enthusiasm and endeavour, and yet a little low on knowledge, experience and belief. There are huge opportunities for this individual to build sales confidence and become a call centre consulting sales professional. Here’s a spidergram for an experienced salesperson. Take a look at process knowledge. Notice there are 2 positions described; one joined by the unbroken lines, the other by the dotted lines. Now, this is a common representation for an experienced salesperson who knows the sales process (the unbroken line), and yet behaves as if he doesn’t (the dotted line). Sales managers will recognise this individual. The Sales Confidence Iceberg is a fabulous tool for sales professionals and their line managers to use in personal development planning. There is often a difference in the shape of a salesperson’s self-assessed spidergram and what the sales manager thinks the shape should be. This is helpful because it forms the basis of a really powerful conversation between sales professional and sales manager about personal development. 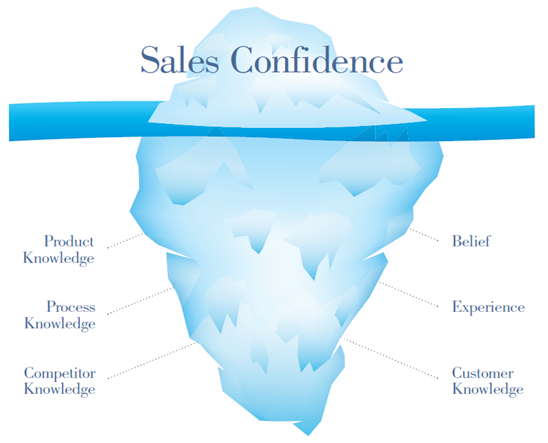 Where are you on the Sales Confidence Iceberg? If you are a sales manager… how would you plot your team of sales professionals on the spidergram – and how do you think they would assess themselves? 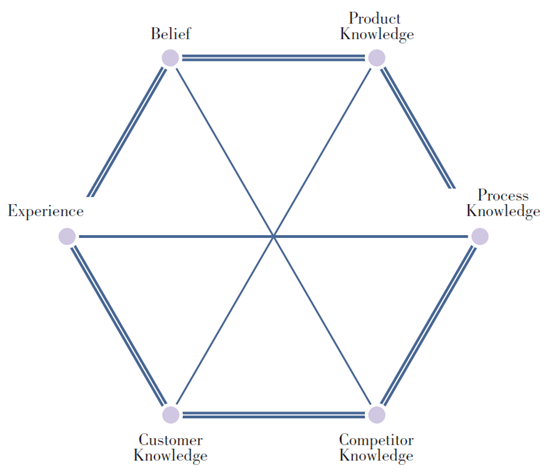 How strong is your product knowledge? How is your knowledge of your sales process and customer service processes? 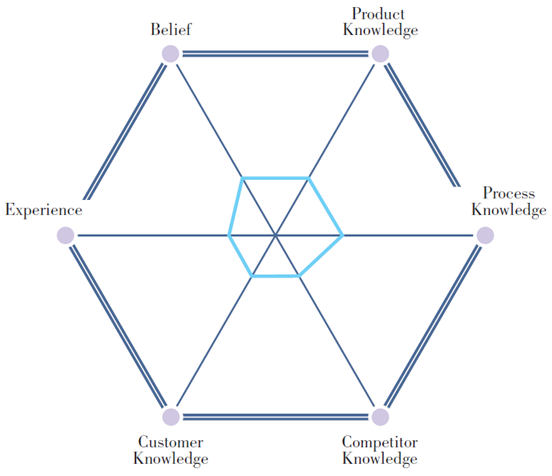 What is your knowledge of competitors’ products, services and performance? How skilled are you at ‘getting inside the customer’s world’? What is your experience? Can you fast-track your experience through a mentor? What is the intensity of your personal belief in product, service and brand? Meet up with your call centre line manager to discuss your sales confidence spidergram. What is the shape of your spidergram? What are the apparent development gaps? What can you do to close the gaps? What is your line manager’s perception of you as a consulting sales professional? What shape has he/she drawn as an assessment of your sales confidence? Are there differences? If so, why?